Following a recent accident where a Model X driver blamed Autopilot for crashing the vehicle into a building, a Model S driver decided to demonstrate how cruise control actually works and how it cannot have caused the accident. In order for cruise control to function, the driver has to press in a dedicated stalk on the left hand side to toggle it on, pressing it again will turn it off. A LED light on the stalk will light up whenever auto cruise is activated. Pushing up or down on the cruise stalk will initially set the cruise speed. Cruise control only kicks in when the car is doing more than 18 mph as Ryan demonstrates in the video below. Even if the driver tries to toggle cruise control on under that speed it will not engage. Ryan even tries to replicated the Model X's scenario by going up a parking lot and accelerating the car up to 18 mph to see if Autopilot will engage and act accordingly. The result is negative. He even tests if cruise control would remember the last speed it was set in by pushing the stalk towards him while going under 18 mph, showing that cruise control resets itself on lowers speeds and will not engage. 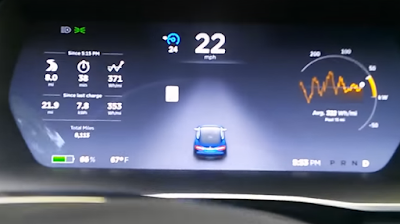 All these scenarios prove that Autopilot - or the vehicle's smart features - could not have engaged before the Model X's collision - unless there was a glitch in the software which Tesla dismissed from the data logs - and leads us to believe that the driver was at fault by mistaking the accelerator with the brake pedal. Moreover, it is important to understand that Autopilot and collision warnings cannot substitute human's intuitive driving skills, at least not just yet. 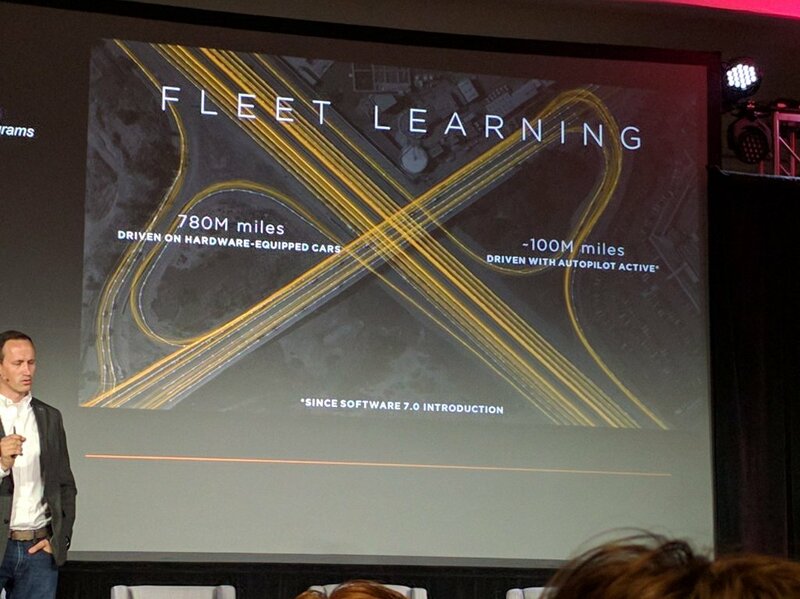 During his presentation at MIT Technology Review in San Francisco, Tesla’s Director of Autopilot Programs Sterling Anderson spoke about the challenges Tesla faces in order to address those corner cases where drivers cannot yet fall back on autonomous driving "...in our experience, these corner cases, the additional cases where we need to address, require fine tuning of specific pieces of specific algorithms rather than turning a crank on a massive machine that is only guaranteed to capture the large center portion of what is fundamentally a very wide distribution." He also explained how our adaption to autonomous driving is directly related to the level of reservations of an individual "many do have reservations... but we have found that people got accustomed with it very comfortably and very quickly, the fact that the car is watching for and addressing in many cases scenarios or corner cases that you might otherwise have had your eyes or attention on, alleviate some of the burden of the driver and allows them to focus more on the higher level of judgement and reasoning tasks that humans are better suited for," Anderson concluded. Note: Please don't try this while driving your car and holding a phone as it is dangerous and illegal. He needs to RTFM. You can enable cruise/autopilot at any speed (even 0) if another car is detected in front. Well the curb & dirt embankment was what was in front of him. Not another car.